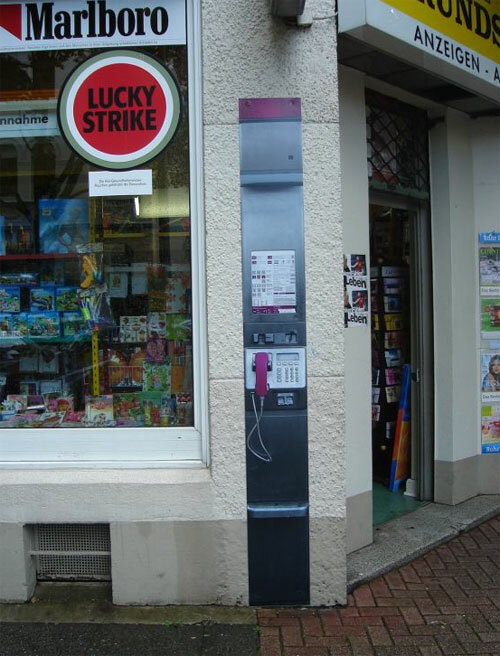 Kathrin writes: “i send you this picture of a faked telephone box in Dortmund, Germany. It seems that the artist created it specially for this place. He added the address of the house where he put it: neuer graben 67.